We bought a loom! Ginny and I bought one from Lancs and Lakes Guild of the Spinners, Weavers & Dyers who were selling a couple and we thought why not? So, it has sat for a little while with no-one to love it until now. 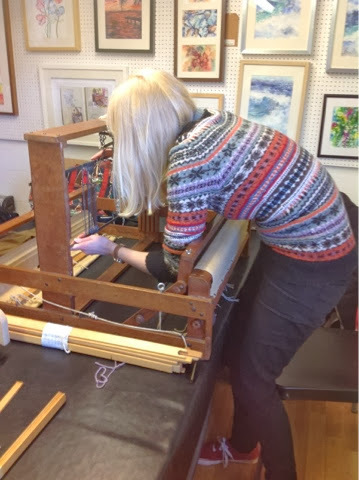 We went to Wickerwool at Cedar Farm to meet Heather and her Ashford Rigid Heddle loom. As complete novices we have absolutely no idea what it was all about - I imagine that will become clear from the rest of the post. So what we realise we need now is a warping frame. Man, are they pricey! So before we jump in and commit ourselves to the £100 layout, we may be searching for a way to do it ourselves - quite a statement considering, well, we don't really know what we're doing. 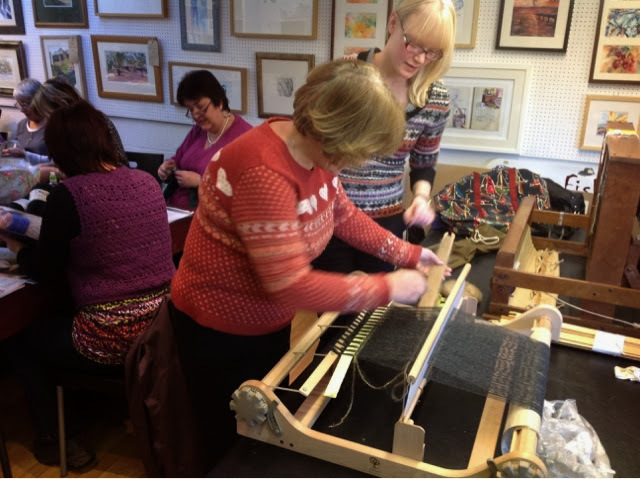 So, if you've ever wanted to see what's involved with weaving, if you're inquisitive and want to have a mosey or it's something you've always wanted to do, come to Cedar Farm in Mawdesley every Tuesday and we'll be there with our looms, we really want to meet people in our local area who want to get together and weave, spin or knit. Please feel welcome to join us. 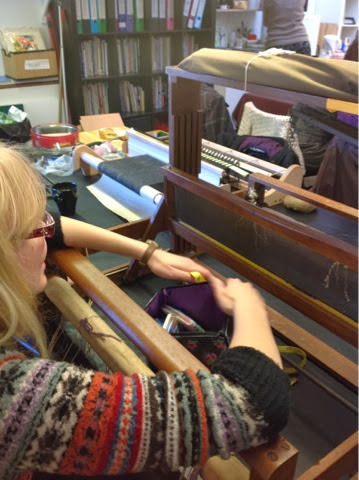 We finished the afternoon having a go on Heathers Schacht Loom, which was so sparkly and new, we were scared to touch it. 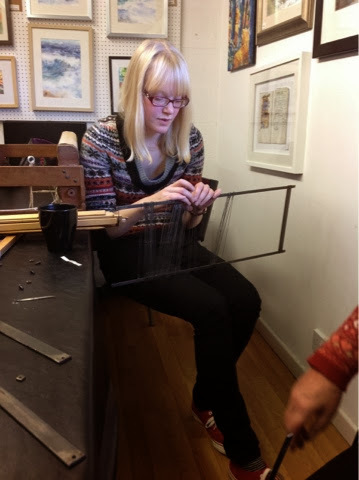 For the weekend, I' making a workshop at Pendle Stitches in Clitheroe. I love Clitheroe and don't need much of an excuse to trek over there. Please pop in and say hi if you're a Pendle Stitch regular.